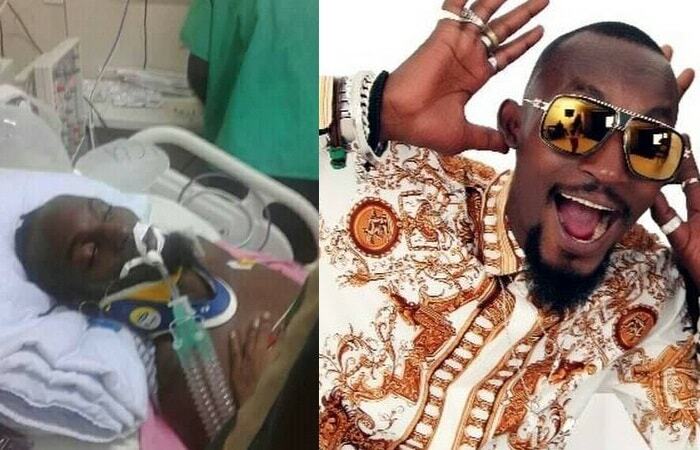 Fans, friends and family are making rounds at Case Hospital in Kampala to check on talented songwriter and singer, Moze Radio, who is still in coma following the injury he sustained on his head in Entebbe on Sunday night. Chameleone has been at the hospital almost all day and Hon. Kyagulanyi aka Bobi Wine paid him a visit at the hospital, in fact, he was the only one allowed to access the ICU, he confirmed that the Gutamizza singer was responding well after the operation. Hi Family, Yesterday night, Radio was involved in an accident and he is currently receiving the best treatment at Case Clinic. The situation is not alarming as being reported on social media by some people. We would like to make it clear that RADIO is getting better and right now is out of comma. Please disregard all the unnecessary reports going around. We do appreciate all your love and support during this time. Continue praying for our brother #Radiology Management.